Congratulations are in order for Jennifer Hill, a Secondary Mathematics Education major. Jennifer transferred to UMD from Montgomery College during her junior year. Starting spring 2019, she will teach algebra at Eleanor Roosevelt High School in Greenbelt, MD. Joshua Pooranmal (computer science, '20) talks about his TT experience. Eight local TT graduates attended our first induction event on January 15, 2019. Induction involves mentoring, support and guidance for new teachers. Graduates shared challenges and accomplishments that occurred during their first semester of teaching in local high schools. During the spring semester, graduates will receive support for professional development, instruction, and resources for loan forgiveness. The Terrapin Teachers Student Ambassador Program is a yearlong internship that offers Terrapin Teachers students the opportunity to become more involved in the program’s recruiting and marketing efforts. During the fall 2018 semester, the TT Student Ambassadors hosted several activities. The goals of the events were to promote the TT initiative and recruit potential students who may be interested in enrolling in our first course, Inquiry Teaching of STEM in Elementary School (TLPL 101). Ice Cream Social: Share Something Sweet with Your Fellow Future Educators! On October 5, 2018, undergraduates currently enrolled in TT courses shared experiences about the impact of the courses and highlights from their fieldwork. Students played games and enjoyed tasty treats. Students typically apply for various scholarships and internships during the fall semester. On October 12, 2018, TT offered students an opportunity to receive a free photo (headshot) to include in their application package. While promoting the event around campus, TT Student Ambassadors talked to their peers about the TT initiative and encouraged them to enroll in our introductory course, TLPL 101. 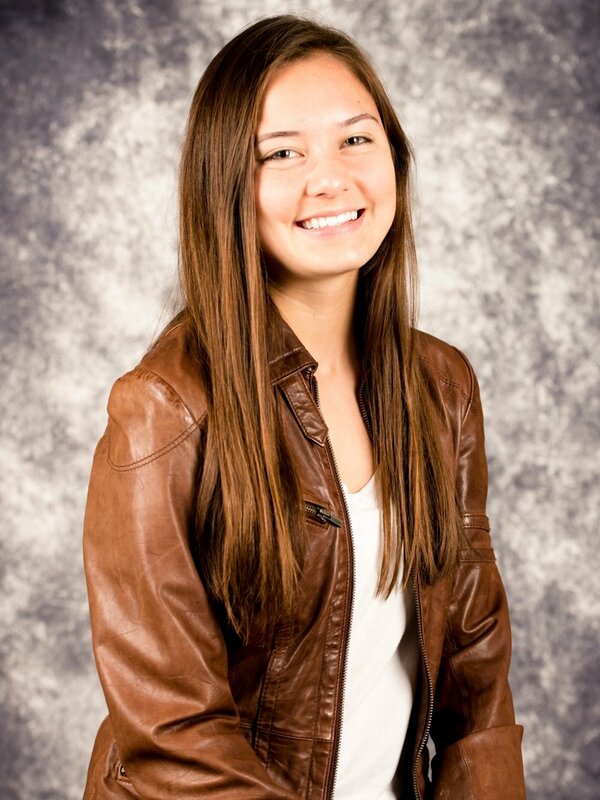 Alexandra Wright (mathematics, '22) smiles for the camera during the Free Professional Headshots event. Word-of-mouth has been an essential recruitment tool for Terrapin Teachers. At the beginning of the fall semester, each TT student was given a shirt with the question, “Ask Me About Terrapin Teachers?” on the front. As a result, several students found themselves engaged in conversations with their peers and professors about the program. On December 6, 2018, TT hosted a tie-dye event to allow TT students to add color to their white t-shirts. Participants decorated their shirts while enjoying games (cards, board games, Mario Kart, etc. ), music, and pizza. 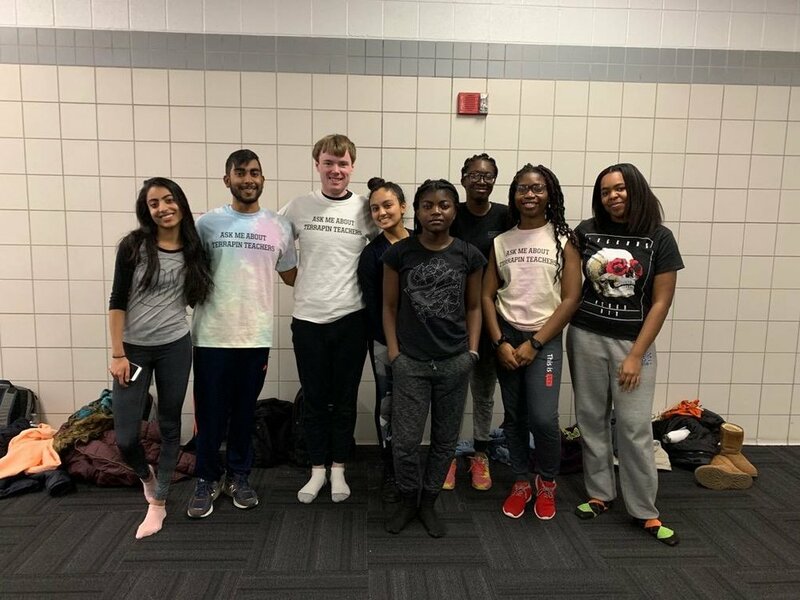 On December 11, 2018, TT Student Ambassadors hosted a yoga event in Eppley Recreation Center to help UMD students de-stress during the exam period. Dr. Anisha Campbell, Associate Director of Terrapin Teachers, served as the local arrangements coordinator for the 2018 National Science Teachers Association (NSTA) regional conference held November 13-17 at the National Harbor in Maryland. Terrapin Teachers (TT) would like to thank Dr. Daniel Levin, Clinical Associate Professor for Teaching and Learning, Policy and Leadership (TLPL), and the National Science Foundation (NSF) Robert Noyce grant, for sponsoring three TT students who attended the conference. Terrapin Teachers welcomed a new Master Teacher, Dr. Dana Grosser-Clarkson, in fall 2018. Dr. Grosser-Clarkson completed her Ph.D. in Curriculum and Instruction at the University of Maryland in 2016. Dr. Grosser-Clarkson holds a Bachelor’s and Master’s degree in Secondary Mathematics Education from Western Michigan University, where she also worked with the Core-Plus Mathematics Project. Prior to pursuing her Ph.D. at UMD, Dr. Grosser-Clarkson was an assistant mathematics professor at the University of Charleston and taught high school mathematics in Michigan. Dr. Grosser-Clarkson's current research interests include core-practices, practice-based teacher education, standards-based curricula, algebraic thinking, classroom discourse, and lesson study. With Terrapin Teachers, Dr. Grosser-Clarkson has been teaching several secondary mathematics methods courses and supervising our secondary teaching candidates in their year-long field placements. Terrapin Teachers co-hosted the 2018 Maryland Mathematics and Science Institute (MMSI) in collaboration with faculty from the Department of Mathematics on June 25-28, 2018. Teachers from 23 local schools in Prince George’s County, Montgomery County and Washington, D.C. participated in lectures and discussions focused on cutting-edge research from UMD faculty during the morning sessions. The afternoon sessions were facilitated by Terrapin Teachers Master Teachers. Activities concentrated on pedagogical strategies that could be implemented in the high school classrooms. Terrapin Teachers would like to give a very special thank you to all of the speakers who presented during the four-day workshop. Listed below are the names of the speakers.